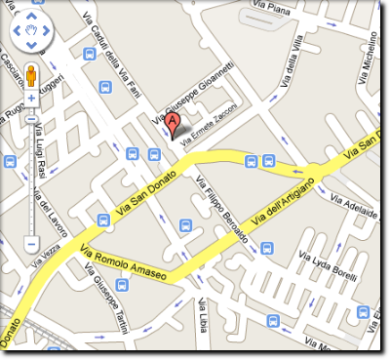 Maglò is next to the "fiera" (Exhibition) District in via Zacconi 4B, only 100 metres from the exhibition. The city centre and university zone are easily accessible (bus n. 20), as is the city's main hospital, S.Orsola/Malpighi, witch is only 5 minutes away by bus (n. 38-39). The airport is also easily accessible by taking bus number 20 to the Ugo Bassi stop, where a convenient airbus will take you both to and from the airport. Maglò is found at number 4/B.